LAKPA publishes newsletters three times a year; in autumn, spring and summer. 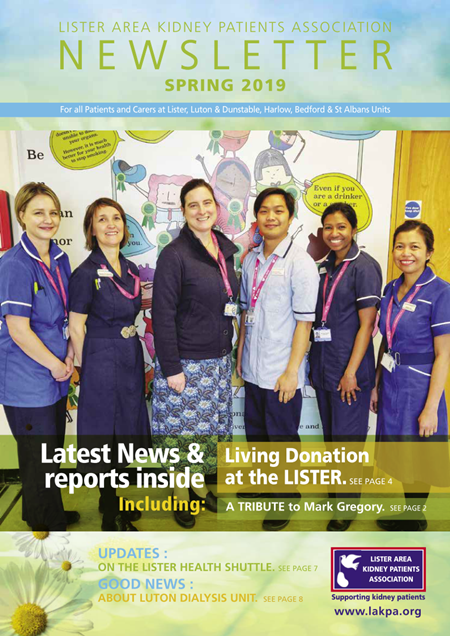 A hard copy of the newsletter is sent by post to all LAKPA members who give us permission to send them information by post. If you wish to receive a copy by post, please register, free of charge, to become a member of LAKPA (see our Membership section for details). We have started allocating a theme for our newsletters. 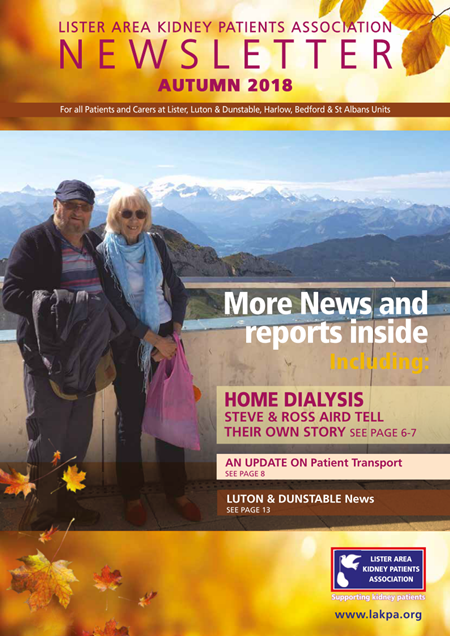 The theme for the autumn 2018 newsletter was “home dialysis”. 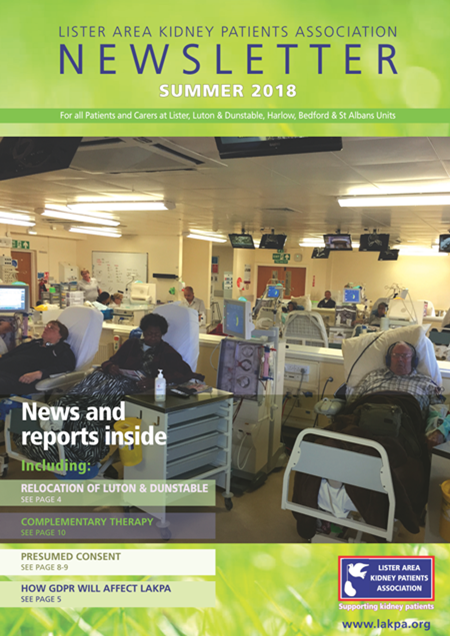 For the spring 2019 edition, the theme is “living kidney donation”.